The oldest and most storied record company in the world, Columbia began in 1887 as an off-shoot of the even earlier American Gramophone Company. Though they were actually the second company to sell records, their list of firsts in the industry is impressive, as they were the first to debut black wax for records as well as produce records with two-sided playing surfaces. By the mid-1920’s they’d purchased the OKeh label which greatly expanded its reach into black musical styles to go along with their pop and hillbilly series giving them as wide an array of artists of any label at the time, but their commercial clout and critical acclaim did them little good when the Great Depression cratered their sales by the early 1930’s resulting in the company essentially becoming a niche label barely able to keep in business for awhile. 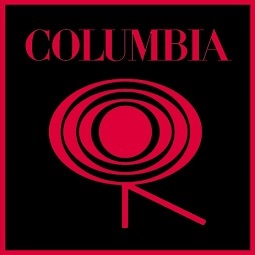 But when the company was bought by CBS radio – ironically which Columbia itself had begun in 1928 – the budgetary issues were solved and the full weight of the network was put behind the revived Columbia Records, shelving OKeh as they focused entirely on re-establishing Columbia as the premiere record company in the world. Columbia’s status as a major was secured by the 1940’s and their roster included such stars as Frank Sinatra, Billie Holiday, Count Basie, Benny Goodman, Doris Day and Jimmie Lunceford, some of the most popular artists of all-time, as well as having the services of John Hammond, arguably the most legendary producer of the 20th Century. During this period the label introduced the 33 1/3d long playing album (LP) and soon after they dreamed up the concept album which tied together otherwise unconnected but thematically similar songs to create a cohesive emotional whole, and in the mid-50’s they’d be at the forefront of the stereo recording revolution as well. Like most majors at the time Columbia’s success throughout the 1940’s meant they were slow to pick up on rock ‘n’ roll and they signed very few artists who could be classified as such. When Columbia contracted Mitch Miller, a classically trained oboist and brilliantly innovative producer who despised rock ‘n’ roll, to take the creative reins of the company in 1950 they steadfastly ignored rock, which now was almost exclusively relegated to their newly revived subsidiaries OKeh which was largely run independently of the parent company. Despite missing out on the hottest musical trend of the era Columbia was still thriving with pop singers (Johnnie Ray, The Four Lads, Jo Stafford and Frankie Laine) and small jazz combos (Stan Getz, Dave Brubeck) into the late 1950’s and starting to expand even more into country with Ray Price, Marty Robbins and Johnny Cash, but the encroaching popularity of rock made it impossible to ignore completely if they wanted to remain successful, particularly in the singles market. Their first success with a rock artist came when they signed Dion DiMucci who’d already been a star on small Laurie Records and it was his run of hits with Columbia followed by the signing and subsequent popularity of Paul Revere & The Raiders, which gave them a foothold in rock ‘n’ roll at last. In the early Nineteen-sixties they’d signed two future rock legends as artists in other fields, Aretha Franklin who they tried to make into a pop-jazz chanteuse with mixed results before she found her voice at Atlantic Records in 1967, and rising folk singer Bob Dylan, who remained with them through every stylistic shift of his own career but didn’t make the move to rock until mid-decade. By then their success with Dylan’s folk-rock ventures boosted their credibility in that realm which they then expanded on with The Byrds as well as Simon & Garfunkel, a duo which conceivably fit into pop territory just as much as the folk-rock field. 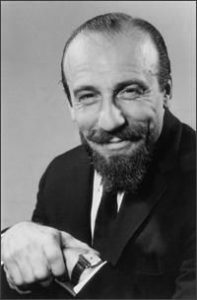 When Mitch Miller retired in 1965 the label would soon come under the direction of Clive Davis who began to move more aggressively into rock, initially focusing on the early San Francisco scene, with signings such as Janis Joplin, Moby Grape and Santana, then later branching out with high profile rock acts Bruce Springsteen, Earth, Wind & Fire, Aerosmith, Billy Joel, Pink Floyd, The Emotions, Elvis Costello, The Manhattans, Judas Priest, Eddie Money, The Bangles, Nas, Alice In Chains, Destiny’s Child as well as Beyoncé’s solo career. But rock never overtook their broader view of the market as seen by their affinity for more pop leaning artists such as Neil Diamond, Leonard Cohen, Blood, Sweat & Tears, Chicago, Journey and Mariah Carey, as well as jazz luminaries Thelonious Monk, Miles Davis, Herbie Hancock and Branford Marsalis. In fact their biggest and most consistent sellers through the rock years remained such pure pop acts as Tony Bennett, Johnny Mathis, Julio Iglesias and Barbra Streisand. In the 1980’s Columbia was bought by conglomerate Sony where it remains today, still operating under the Columbia label and with an even more impressive list of subsidiary labels, from Epic to Def Jam, which further expands their reach. But Columbia itself, the oldest record label in existence, remains the one with a largely uneasy history with rock ‘n’ roll.